BAM! 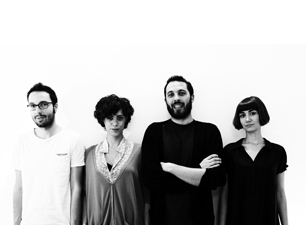 is a group of young italian architects that face various aspects of architectural design, from the complexity of the urban scope to the intimate size of living spaces. BAM! face the complexity of the project with an holistic approach: life experiences, critical and multdisciplinary research, individual suggestions and professional expertises. The diversity of training and working background of each architects, is a result of academic and working experience in EU, USA, India and Japan. Alongside the professional practice they carry forward an intensive research on the topics related to the contemporary city. BAM! won several national and international competition. BAM! is Alberto Bottero, Valeria Bruni, Simona Della Rocca, Fabio Vignolo.